Today’s main news: SoFi issues $2.6B in ABS notes in Q1 2018. GreenSky files for IPO. China’s P2P lenders brace for more regulations. FinanZero raises $3.6M. Today’s main analysis: FT Partners’ CEO alternative lending market analysis. Today’s thought-provoking articles: Cities with highest share of cash-out refinance borrowers. Retailers grow financial services capabilities. India’s unsecured instant loan interest rates are high. Max Levchin and other top fintech CEOs will keynote a fireside chat at LendIt Fintech 2018. Kabbage says small businesses will turn to mobile. Goldman Sachs offers savings accounts to everyone for $1. Can fast online loans bankrupt a business? How Credit Karma uses data to be a central finance hub. Chase is reviving its Sapphire experiment. High net worth clients warm up to digital advice. Why borrower experience will be the principal driver of bank lending revenue. Is low pay hurting banks in competition for tech talent? Why millennials choose personal loans. Small business confidence is up. Santa Fe mayor proposes employee loan program. BlockFi offers borrowing against crypto assets. eBus goes mobile with financial advice, credit reports. Sunny applauds Scots’ side businesses. P2P lenders brace for renewed regulatory crackdown. China Rapid Finance to exhibit at LendIt Fintech 2018. Internet lenders break data privacy rules. How retailers grow financial services capabilities. Will ETHLend token decline after Kyber Network partnership? APRA rejects CBA home loan data. Are interest rates on unsecured instant loans too high? Fintech is moving to the blockchain. Africa: Fintech is central to Nigeria’s success. South Korea: Viva Republica is most disruptive fintech startup. SoFi announced today that it completed $2.6 billion in loan securitizations in the first quarter of 2018, a 35% increase over the prior-year period and its largest-ever quarterly ABS issuance volume. In Q1 2018, SoFi completed a total of three securitization transactions: two student loan ABS offerings ($960 million SOFI 2018-A Notes and $869 million SOFI 2018-B Notes) and one consumer loan ABS offering ($774 million SCLP 2018-1 Notes). The SoFi 2018-B Notes marked the first time SoFi included medical residency loans as a part of the collateral. LendingTree today released the findings of its study on where cash-out refinancing was most prevalent in the past year. Financial-technology firm GreenSky LLC has confidentially filed paperwork with the Securities and Exchange Commission for a sizable initial public offering that could come as soon as this summer, according to people familiar with the matter. The Atlanta company, which operates a lending platform that enables retailers, health-care providers and home contractors to offer loans to their customers, could seek to raise $1 billion at a valuation of roughly $5 billion, some of the people said. This month’s report features an exclusive interview with Manu Smadja, co-founder and CEO of MPOWER Financing, an alternative lender that enables high-potential international students to finance their education. In our conversation with Manu, he discusses the inception of MPOWER, along with the unique opportunities and challenges of lending to this market. LendIt Fintech announced today that Max Levchin, Co-founder and Chief Executive Officer of Affirm, a financial services technology company that is reimagining consumer credit and banking, will be featured in a keynote fireside chat on April 9. The world’s most prominent and emerging fintech CEOs from Wall Street to Main Street will gather April 9-11 at Moscone Center in San Francisco to focus on the hot-button topics and issues exploring the future of finance. In a session titled The future of credit: Reimagining the financing ecosystem, Levchin’s keynote fireside chat will delve into how the retail industry has evolved and how retail experiences are continuing to grow beyond the capabilities of traditional credit and lending. Levchin will share his thoughts on why the industry needs to reimagine the financing ecosystem from the ground up in order to unlock the future of credit. Levchin will also discuss why Affirm is committed to reinventing credit, starting with the belief that it should help improve consumers’ financial lives in addition to financing their purchases. Sometimes, businesses need ready cash to get from “the latest bills” to “the next paid invoice,” and that’s where lenders are coming in. A new report from Kabbage says that small businesses are turning to mobile devices to get in on that lender funding in increasing numbers. Kabbage surveyed almost 150,000 small businesses, and found that loans accessed by mobile device had increased better than three-fold, over 360 percent, of what they were back in April 2014. 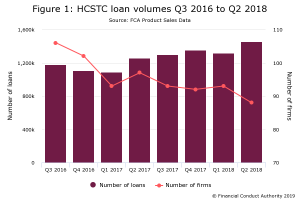 While the total numbers went through the roof, the value of the loans accessed went through the roof and over the treetops, having increased over 1,220 percent. Fast forward almost 18 months and Marcus is the fastest growing online lender in history. They have lent $2.5 billion in this time to 350,000 customers and have 700 employees spread across three offices. Not only that, but they have grand ambitions in the space. Goldman Sachs CEO Lloyd Blankfein has repeatedly talked about the importance of Marcus to the future of Goldman Sachs. According to a recent article in the Wall Street Journal the consumer banking business of Goldman Sachs is expected to generate $1 billion in revenue for the firm by 2020. That is significantly more revenue than LendingClub is expected to generate in 2018 as an 11-year- old business. We have heard that Barclays and PNC Financial will be launching their own lending platforms in 2018 and there are rumors that many other large banks are going to do the same. Marcus— named after the Goldman Sachs founder Marcus Goldman — allows any adult (except in Maryland, where Marcus is not yet available) to create a savings account. The big selling point for Marcus is the 1.5% annual percentage yield offered. Whereas interest rates for many banks have plummeted to as low as 0.01%, Goldman Sachs’ savings accounts create significant interest. There is also no minimum amount needed to open an account with Marcus, and a deposit of even $1 allows users to earn the 1.5% APY. Root Insurance, an Ohio-based car insurtech company, announced last week it secured $51 million in funding through its Series C round, which was led by Redpoint Ventures, with Scale Venture Partners and existing partners Ribbit Capital and Silicon Valley Bank Capital Partners. Root will use the new funding to expand into additional states and continue to invest in technology that significantly improves the customer experience. A recent lawsuit against fintech small-business lender Kabbage Inc., charging that it partnered with a bank in order to offer interest rates that exceeded the legal limit, highlights the need for more regulatory oversight of the growing number of online lenders signing deals with small businesses. Online lenders are getting more scrutiny. The recent Massachusetts federal case brought by a small business against Kabbage (and its partner Celtic Bank) highlights why non-bank fintech lenders should be regulated. The suit alleges that Kabbage used its relationship with Celtic — which “rented” its balance sheet to Kabbage — as a basis to charge interest rates that violated usury laws. It’s not a bank, but it uses customer data to help banks find customers. Currently valued at $4 billion, Credit Karma has 80 million customers — half of whom are millennials. The company joins a growing number of financial startups like Clarity Money, SoFi, Chime and Varo Money that are aiming to become one-stop shops for customers’ finances. The field is growing increasingly competitive. Meanwhile, banks are bundling personal finance advice into their mobile apps. But Credit Karma has two advantages its competitors often struggle with — scale and data — and it’s using a chatbot to lock in the relationship with the customer. Last year, ahead of the spring homebuying season — the busiest of the year — JPMorgan Chase engineered an experiment to gain an edge in the mortgage-lending competition. So the bank targeted its Sapphire customers, offering another 100,000 in rewards points if they closed a mortgage with the bank — a bonus worth as much as $1,500. In its report, “The Cerulli Edge—U.S. Retail Investor Edition, 1Q 2018 Issue,” the researcher found that more than one-quarter of investors over 70 who have $2 million to $5 million in investable assets said they would consider online-only engagement. Beyond that, high-net-worth investors in general seemingly are more receptive to digital advice platforms. In 2015, Cerulli found that 38% of investors with investable assets of $2 million to $5 million said they were willing to engage with digital providers. Last year, that number jumped to 46%. And among investors with $5 million-plus in investable assets, those numbers went from 30% in 2015 to 38% last year. Tech giants such as Google and Amazon have rewritten the rulebook for consumers when it comes to what they can reasonably expect from their service providers. Consequently, bank offerings are being judged to the same standard as the most innovative digitally native products in the world. Differentiation Financial services can no longer lean on long-standing relationships and brand positioning to generate new customer business. Positive brand response in addition to research, some customers will also emphasize the emotive impression they receive from a product when making purchasing decisions. Coping with an economic downturn During a recession or other global economic hardship businesses are placed under increased financial strain. Services viewed positively by their existing clients will stand a better chance of retaining their clients as well as growing their client base during the downturn. Banking Technology’s Anthony Peyton reports that the Atlanta-based anti-fraud and authentication specialist has unveiled Tongueprinting, a technology that analyses every person’s unique tongue as its newest biometric engine. Banking Technology is Finovate’s sister publication. The idea is for Tongueprinting to stop fraudsters from taking over legitimate accounts by spoofing the call centre with automated bots, social engineering, and knowledge-based authentication questions. HomeUnion, the leader in online residential real estate investing, has launched a crowdfunding platform that allows investors to purchase stakes in funds of single-family rental (SFR) properties on its website. Starting with a minimum investment of $10,000, retail investors now have the ability to acquire interest in the HomeUnion Fix-and-Flip Fund. The fund enables consumers to invest in SFR assets acquired for fix-and-flip purposes in seven HomeUnion markets: Atlanta, Austin, Charlotte, Chicago, Dallas, Raleigh and Tampa. Online lender Upstart is the latest marketplace loan company to broaden the risk profile of its ABS, announcing a deal this week offering more subordinate bonds and backed by a higher proportion of longer term loans. The California-based lender, founded by ex-Google employees, uses an underwriting model which incorporates data points beyond borrowers’ FICO scores, utilizing other factors such as schools attended, areas of study, academic performance and work history. Conversations about pay in the banking industry typically focus on whether executives at the top are paid too much or workers at the bottom are paid too little. But new data available as a result of the Dodd-Frank Act is drawing rare attention to the compensation of employees in the middle. In what will become an annual exercise, publicly traded U.S. companies are now required to disclose annually the median pay of their employees. For many businesses, data is an important aspect of decision management. When you are choosing with whom to do business, you rely on the validity of data to guide you. If it proves faulty, you may be steered into accepting bad customers or rejecting good ones, which can seriously affect your bottom line. For consumers, inaccurate data can be equally harmful—leading to the appearance of having bad credit, denials of services or products or worse, flagged as potentially fraudulent. Spanning both digital and real worlds, and encompassing data about identity, financial characteristics, behaviors and more, an integrated view is the foundation of enhanced insights that can ultimately improve financial outcomes. TransUnion understands the importance of current, accurate data and gives its customers access to information—including both highly-regulated and publicly available forms of alternative data—that creates powerful, comprehensive views of consumers. When it comes to millennial spending habits, it looks as though they’re rounding a corner to a new kind of credit. With the vast treasure trove of accumulated data available, credit bureaus like TransUnion are seeing spikes in personal loans compared to Generation X’s spending habits in the early 2000s. It’s a tremendous opportunity for marketers to capture a demographic that expects more from their lender. The newly minted adults of Generation Z are at the very beginning of their financial journey, but millennials are at the age where they’re expected to make major purchases. As they struggle with the economy and student debt, they’re making different financial choices along the way. Lenders are turning to financial technology (fintech) to help peddle their products, which millennials are all too happy to use. Ironically, applying for a personal loan without the face-to-face connection can be far more attractive than the traditional application process. Right or wrong, credit cards have long been linked to perpetual debt in many people’s minds. In 2009, the CARD Act was introduced to place stricter limits on the marketing of credit cards at college campuses. Debit cards have become more of the rule as opposed to the exception, leaping from 8 billion transactions in 2000 to 60 billion in 2015. The year 2017 saw small business owners across the United States grow more optimistic about the future than they’ve ever been—at least since the creation of the Optimism Index by the NFIB in the 70s. “2017 was the most remarkable year in the 45-year history of the NFIB Optimism Index,” said NFIB President and CEO Juanita Duggan. Sole proprietorships, partnerships, and S corporations are all examples of what are called pass-through businesses; and make up roughly 95 percent of all U.S. businesses. They also happen to be many of our customers at OnDeck, and other online small business lenders. One of the main components of the new tax bill is a 20 percent tax deduction for those businesses, where business owners can “shield” 20 percent of their business income from flowing through to their personal income tax returns. A Cincinnati-based financial tech startup that aims to help users secure low-dollar loans without having to resort to a payday lender raised $1.2 million in venture capital. A few months after a new annual 175 percent cap on small-loan interest rates in New Mexico went into effect, Mayor Alan Webber is proposing a short-term loan program to help municipal workers avoid payday lending businesses viewed as predatory by consumer advocates. Options for borrowing and lending with cryptocurrencies are on the rise. One of the latest start-ups to join the likes of SALT and Unchained Capital is BlockFi, a New York City–based startup that issues loans backed by bitcoin and ether to individuals, companies and institutions in 35 U.S. states. BlockFi takes cryptocurrency as collateral, offering interest rates on loans of around 12 percent. This is generally lower than unsecured loans and higher than loans secured with traditional assets such as securities or real estate. The eBus is a mobile classroom which is equipped with 14 personal computers and satellite technology staffed by Fifth Third bankers and representatives from nonprofit community organizations. On the bus, visitors can request a credit report and review it with a professional; receive a personalized evaluation of finances; receive internet banking and bill pay demonstrations; speak with nonprofits about housing, money management and business advice; receive consultation on foreclosure prevention; and conduct online job searches. More than 500,000 people living in Scotland have started a side business, generating a collective £1.7 billion a year out of more than £33bn UK-wide, according to new research. Online lender Sunny said many of those north of the Border turning to side businesses are doing so to help with the cost of bills, savings and debts, and bring in an average of £272 a month on top of their main income. That represents a 20 per cent increase from when they first started their business. China will soon be rolling out new licensing requirements for p2p lenders; The system will kick off in April with approvals slated to come at the end of this month, but many lenders aren’t aware of the filing process; in 2016 and 2017 many p2p lenders shut down and according to data there are around 2,000 remaining; it is expected that many of the 2,000 will not pass the new requirements; the new rules won’t allow platforms to guarantee loan payments and also limit loans to individuals and businesses; it will also require that platforms use custodian banks. China Rapid Finance Limited (“China Rapid Finance” or the “Company”) (NYSE: XRF) announced today that the Company will participate as a sponsor and exhibitor at the upcoming LendIt Fintech USA 2018, to be held between Apr 9th and 11th in San Francisco, California. On March 28th, cross-border payment company iPayLinks announced that it had completed, at the beginning of this year, a hundreds of million-yuan B1 round of financing led by Tencent and followed by Legend Capital. The five-chapter convention is mainly applying to regulate the behavior of overdue debt collection within the Internet Finance industry by establishing several basic principles (e.g. observing laws and regulations, prudential regulations, protecting privacy, and strict self-discipline). In other words, the document outlines a framework of debt-collection regulation in terms of discredited punishment, business management, personnel management, information management, outsourcing management, and complaints. More than half of Chinese internet finance lenders are failing to comply with data privacy regulations, research has found, raising risks for investors as China steps up the implementation of laws to protect consumer data. The breaches include collecting phone numbers from users’ contact lists, which can be used to mount harassment campaigns and shame users into repaying debts. The survey of 200 finance apps by Renmin University and Nandu Personal Data Protection Research Centre, a Beijing think-tank, ranked 111 apps as having “low” compliance. It found that almost half — 95 apps — wanted to read users’ text messages, while 97 of them wanted access to users’ contact lists, despite such access not being necessary for the app’s functioning. Amazon isn’t the only retailer encroaching on the financial services space. It may be the scariest — just the rumor of it entering a company’s space will send its stock price down — but ultimately, Amazon only cares about getting more buyers and more sellers to join its platform. Overstock’s Raj Karkara, vp of loyalty and financial services, echoed that sentiment earlier this year, saying that offering financial services or connecting customers with financial services providers is a natural extension of its retail function of buying and selling consumer goods. Rakuten is Japan’s largest e-commerce site and has slowly been growing outside of the country. It has a footprint in media, video-on-demand, mobile messaging, e-books, travel, fashion, marketing and even sports. It also operates the largest online bank in the country. For the past few months, e-commerce company Overstock.com has been quietly building out FinanceHub, a sort of marketplace for financial services that includes existing Overstock credit cards and insurance products; loans by LendingTree, Prosper and Sofi; a robo-adviser for automated investing; and, most recently, a discounted trading platform. Amazon may not be interested in becoming a bank but that doesn’t mean it can’t succeed in stealing customer attention from them. The U.K.’s largest grocers have all opened banks attached to their brands — Sainsbury’s and Tesco. ETHLend has recently partnered up with Kyber Network. The ETHLend (LEND) Token has reached a market capitalization of 45.69 Million US dollars in the last 24 hours. The token traded 9.50%higher against the U.S. dollar during the last 24 hours ending at 10:30 AM EDTon April 2nd. That rise might be as a result of the partnership. ETHLend aims to become another decentralized and secure financial marketplace, but targeting peer to peer lending agreements via Blockchain and Smart Contracts. Considering the small business sector employs nearly half the national workforce and contributes around $380 billion to Australia’s GDP , it’s easy to see why it’s frequently referred to as the ‘engine room’ of the economy. Like all engine rooms, the sector requires sufficient fuel – in this case, working and growth capital – to not only keep running but also accelerate. However, poor access to capital remains a significant barrier to small businesses, accounting for a majority of failures in the sector. Part of the reason is that banks are reluctant to lend to small businesses in circumstances where the borrower doesn’t have bricks-and-mortar security – especially if a short-term loan is sought. Commonwealth Bank was being pressured by the prudential regulator to appoint external consultants and fix its flawed home lending data almost 2½ years before the Hayne royal commission began exposing the big four for sloppy administrative errors and irresponsible lending. The Australian Prudential Regulation Authority’s frustration with the failure of Australia’s biggest home lender to accurately identify what proportion of its loans were taken out by property investors and its level of exposure to big borrowers has been revealed in evidence tendered to the banking royal commission and published in a massive dump of more than 100 documents late last week. Financial institutions and fintech companies have launched multiple small credit products in India in the past 1-3 years. It is now possible to get loans even on your mobile phone. But how do you pay for this convenience? Peer-to-peer lending companies such as Faircent, i2ifunding and Lendbox connect lenders and borrowers on their platforms. Usually, the lender is an individual and not a financial institution. The interest rates are between 15% and 36% per annum and the loan amount can range from Rs50,000 to Rs5 lakh. The interest rate is decided based on the credit profile of the customer. Usually, the P2P lending companies take into account your Cibil credit score. The loan tenure is 3 months to 24 months. A lot of players have come into the fintech space. There are wallet players, then there are PPI, P2B, crowdsourcing and other payment players as well. So, regulation is one of the key challenges the private players are going through. What is your take on it? Surprisingly, the Indian regulators, I would say, are strict. You can see the example of NBFC P2P licences regulation. It is a good rule-based model. In fact, the players themselves were pushing for some kind of regulation because financial markets need them. It’s not like e-commerce or running a taxi where the risks are not that high. Finzy, India’s fastest growing peer to peer lending platform, has raised USD 1.3 million in first round of Pre Series A from investors in the industry. A second round of fundraising is expected to close with pre-identified set of investors within the next 60 days. FinanZero is a leading marketplace for consumer loans in Brazil. The business is an independent broker for loans, negotiating the customer’s loan application with several banks and credit institutions, to find the loan with the best interest rate and terms for the consumer. FinanZero handles the lending process from start to finish. The Series A round was led by Swedish publicly listed investment company, Vostok Emerging Finance, with participation by other Swedish investors, including Webrock Ventures and Zentro Founders. Central to this opportunity is an acceleration in the development of a modern banking and financial services sector. We are already seeing huge breakthroughs in digital banking and the adoption of fintech-based services by Nigerian consumers — be they retail or business customers. But this expansion must be encouraged by policies that will see greater inclusion of women and rural communities into mainstream banking activity. Viva Republica is the most disruptive fintech startup in South Korea. Since the 2015 launch of its simple peer-to-peer payments app Toss, banks are finally revamping their user experiences and customers have easier access to financial products. South Korea’s mobile payments have more than quadrupled in that time to $4.6 billion, according to Bank of Korea data. The startup, funded at $76 million, hasn’t stopped there. After PayPal joined a $48 million investment in Toss in March, Toss has grown from a simple money-transfer app to a diverse consumer-finance platform generating Viva Republica’s $20 million in expected revenue in 2017. Toss thus joins Asia’s ranks of fast-growing mobile P2P payment services, reaching a $12 billion transaction volume in 2017. Why are so many payday lenders going into administration? George Raymond on What is An Auto Equity Loan And How Do You Get One? Ashely on Lending Club’s fantastic delinquency, profit and origination numbers.